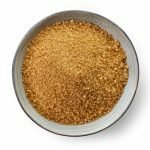 Refined white sugar is brown sugar that has had all of its molasses removed until it achieves an absence of color. 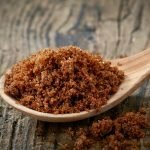 Even though sugar has had a long history, the process of refining it was relatively unchanged from the 14th to the middle of the 19th century. The process of converting sugar cane to refined white sugar began with cane juice, which had to be pressed in the vicinity of the cane fields to prevent fermentation. The next step in the refinement process called for the juice to be boiled in copper pans called clarifiers. Its acidity would be reduced with the addition of quicklime, and any impurities would be skimmed off as they rose to the surface. The cleared cane juice would be transferred to evaporating pans and more lime would be added to reduce its acidity even further. It would be boiled a second time and more impurities would be skimmed off. The liquid would be moved to smaller and evaporating pans until it reached the stage where it could be granulated. It would then be placed in cooling pans and stirred. As it cooled, the sugar would be crystallized with the crystals being suspended in molasses. The mixture would be placed in special barrels and taken to the curing house so that the molasses could drain out. The sugar that was left in the barrels would be shipped out as raw sugar. 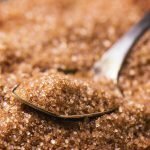 The raw sugar is what would be processed into refined white sugar. The raw sugar was clarified by dissolving its crystals in a mixture of charcoal made from animal bones (bone black), lime water and egg white or bullock’s blood. The mixture would be boiled, which would coagulate the egg white or blood and cause it to rise to the surface. The egg white or blood would contain impurities from the sugar and would be skimmed off. The remaining syrup would be simmered to evaporate more water and then be cooled and agitated for granulation. Once granulated, it was transferred to molds. This method produced lighter-colored sugar, but it was still not perfectly white. It could be further whitened in the molds by being washed with a saturated sugar solution that would take away impurities without dissolving the crystals. In the 19th century, the washing process would be greatly improved with the use of the centrifugal machine. The machine was patented in England in 1849 but would not see widespread use in the US until after 1860. With this method, the first evaporation took place in large vacuum pans that concentrated the sugar liquor until small crystals were formed. Additional liquor would be added to create a saturated sugar solution. Half of this solution would be crystallized and the other half used to wash the crystals. The centrifugal machine was used to remove the molasses and the crystals were washed with the sugar solution until perfectly white. Variations of this process are still in use today. With all of its molasses washed away, the flavor of white sugar is simply sweet. There are no nuances, though many will say that that doesn’t matter – this is one flavor that crosses cultural lines. This delicious sweetness is globally loved and part of our everyday eating. Refined white sugar is a high-calorie food that provides a large amount of energy. At 4 calories per gram, sugar can significantly boost your energy for short periods. As mentioned, white sugar is widely used, though there are alternatives. 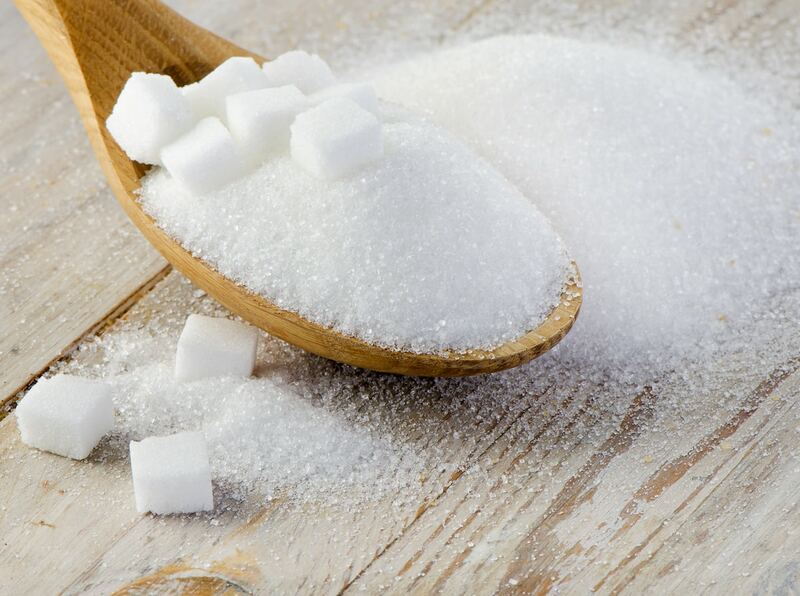 While it has been replaced in many instances by high fructose corn syrup, white sugar is still used in a range of prepared foods, including baked goods and beverages.